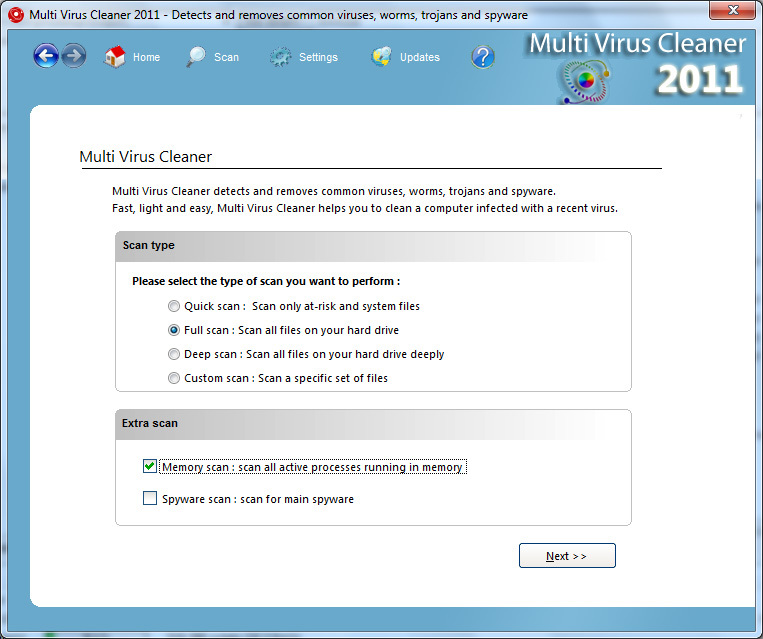 Multi Virus Cleaner is a free, stand-alone utility used to detect and remove major viruses and spyware. It is not a substitute for full anti-virus protection, but rather a tool to assist administrators and users when cleaning infected systems. Multi Virus Cleaner is regularly updated and can detect over 14,500 common viruses, worms, trojans and spyware (including all variants of the Sober, MyDoom and Bagle viruses). The program boasts a fast, user-friendly scanner that requires minimal processing power and is an excellent choice for repairing a compromised system.